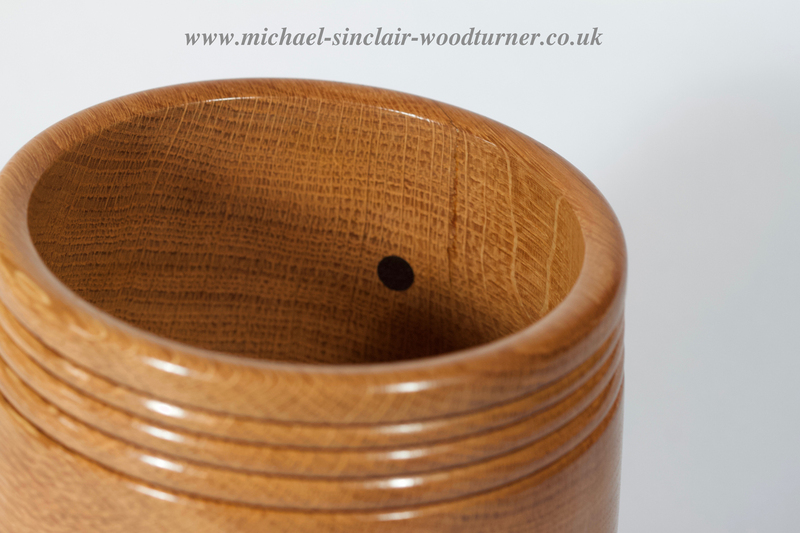 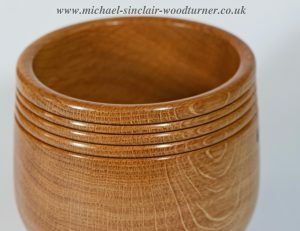 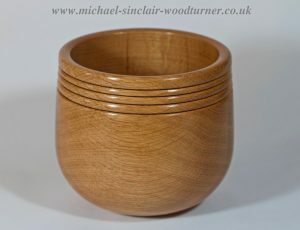 Turned from a stunning piece of Scottish oak with beaded detail. 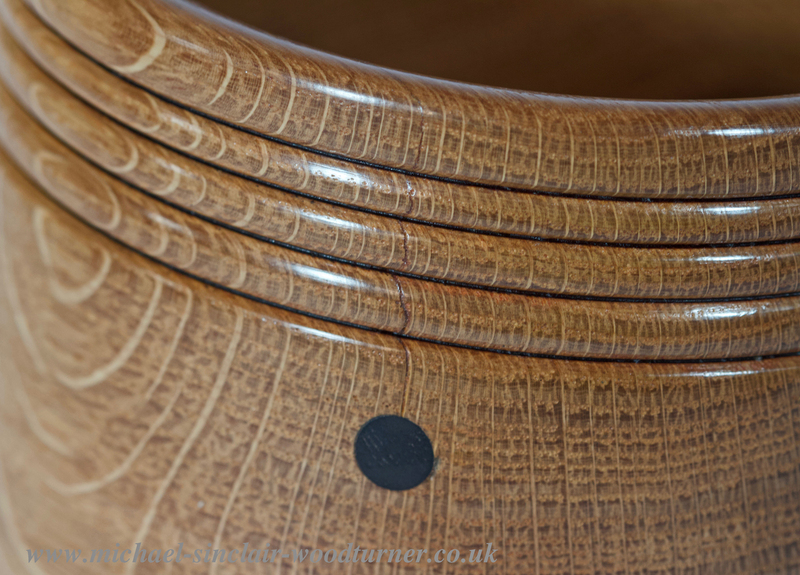 Inlayed stud of 5000 yr old bog oak. 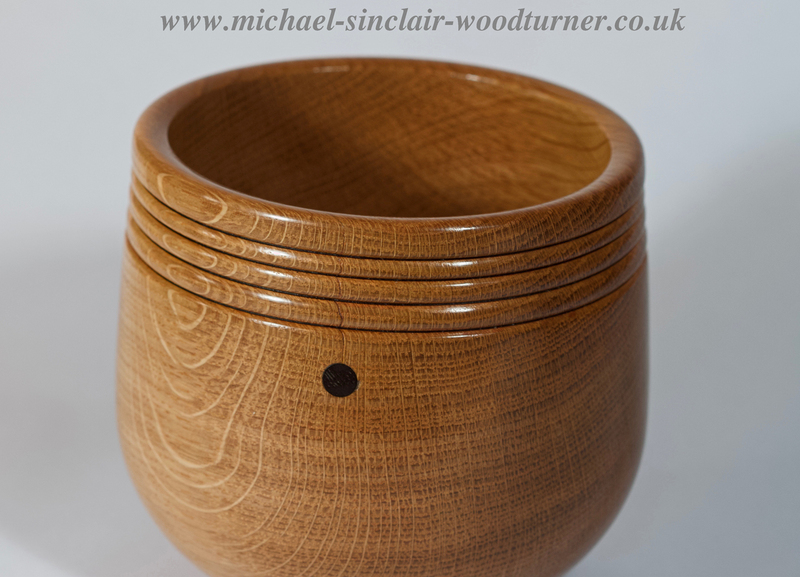 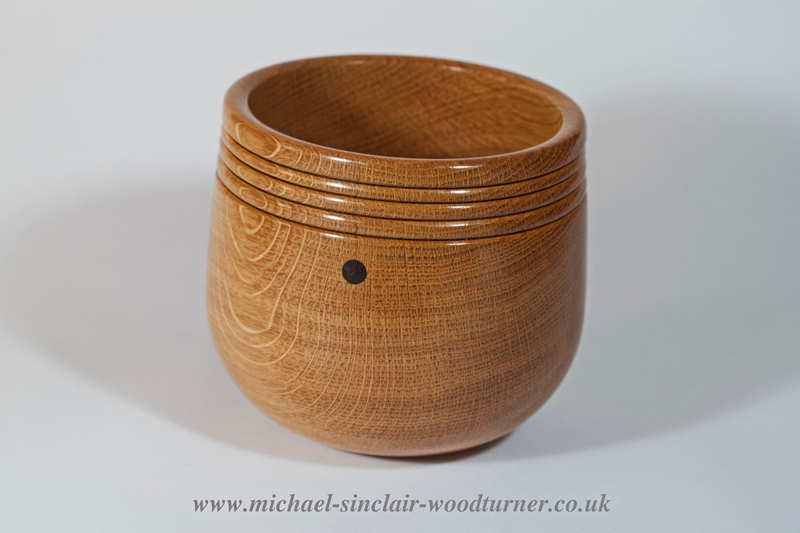 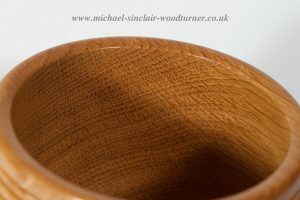 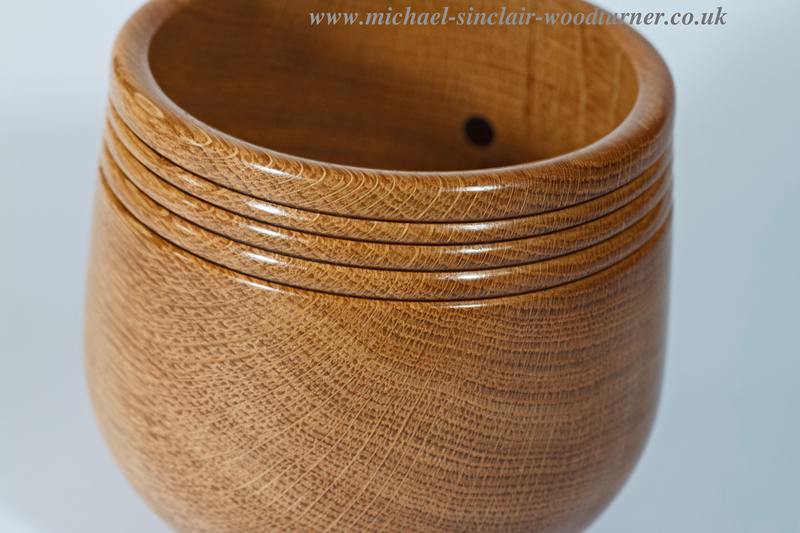 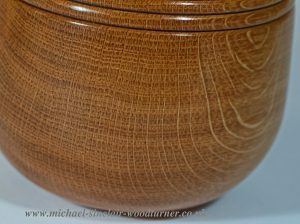 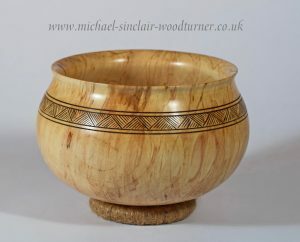 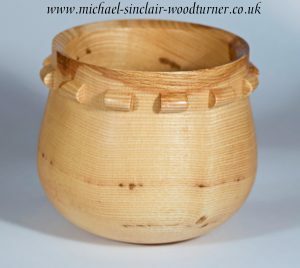 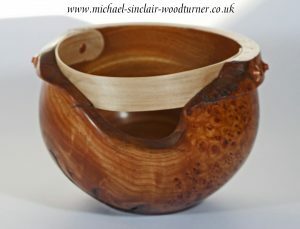 A round bottomed wooden bowl turned from local Orkney sycamore. 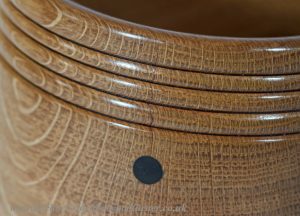 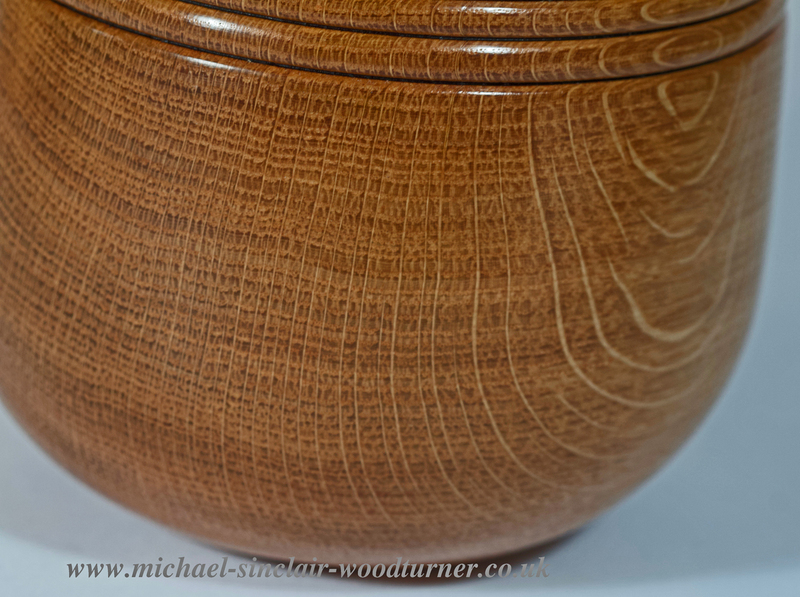 Burr elm bowl with steam bent poplar attached using copper boat nails. 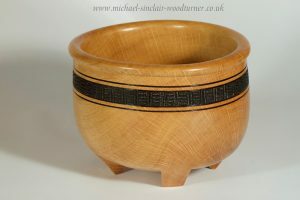 A little wooden bowl turned from a beautiful ash blank sourced from just north of Inverness. 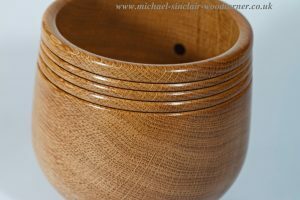 Hand carved handles.